After releasing Moth last year, electronically minded duo Chairlift announced their impending breakup. Caroline Polachek and Patrick Wimberly are about to embark on a final farewell tour this month, but even fans who are unable to attend the upcoming shows have been granted a parting gift. Today (April 5), Chairlift have released a video for Moth cut "Polymorphing," which serves as the duo's final offering. It was directed by Polachek herself, and captures her and Wimberly lip syncing and air drumming for the camera — at least, when they're not playing with cats, cuddling with baguettes and ironing waffles. 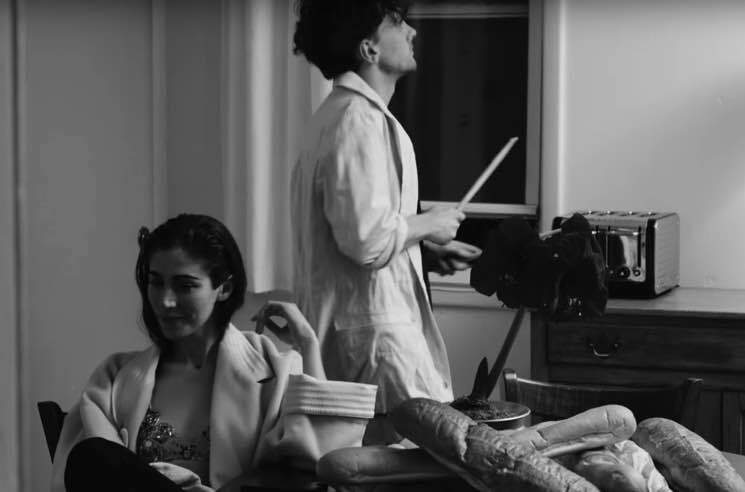 Help bid Chairlift goodbye by watching the video for "Polymorphing" below.